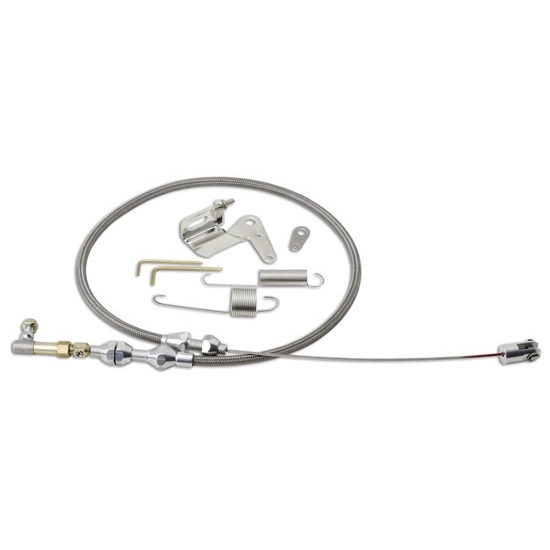 These Lokar Duo-Pak throttle cables have a PTFE inner liner and a stainless steel outer covering, along with aluminum Clevis ends for smooth, no-bind cable operation. The cables easily adapt to most gas pedals and throttle assemblies. They include a throttle return spring and mounting bracket to complete installation.